Thursdays at 7pm on 90.5 FM. | You won't have to stand in line at the box office to hear an hour of movie classics each week on 90.5 FM. 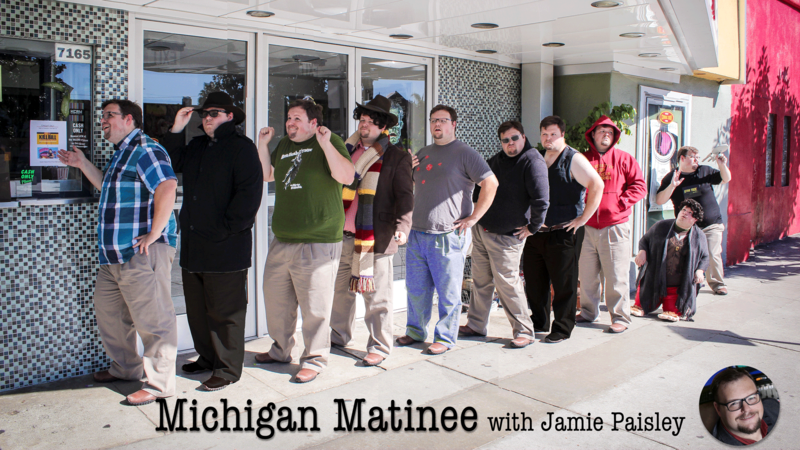 The new weekly radio show, "Michigan Matinee," airs Thursdays at 7 p.m. ET on 90.5 FM WKAR beginning June 30, 2016. The program also streams online at wkar.org. Hosted by WKAR's Jamie Paisley, the show presents an hour of classic music written for the silver screen. "I’ve always been a movie buff. Pairing that with the music side of my life was a natural fit," said Paisley. Within the show, listeners gain insights on how some of these film scores came to be written. For example, when composer John Williams suggested the main theme for the film JAWS be only two notes long, director Stephen Spielberg laughed at what he thought was just a joke. Since then, that simple theme has become iconic. "For many people their first introduction orchestral music is not in a concert hall but in a movie theatre," said Paisley. "If I can get people introduced to the methods of John Williams, it can be a bridge to the Beethoven symphonies." Listeners are encouraged to send their requests to MovieMusic@wkar.org or message 905Classical on Facebook. Please visit Michigan Matinee for more information.